Well philosophical mubo-jumbo aside, its not that simple as its sounds. Ofcourse, most of you reading this already have some background in this topic and have already understood what I am talking about. But for those of you who haven’t the slightest clue, don’t worry, this write up is for you. Throughout this series of articles on this particluar issue, I am going to try and break it down to the basics. Lets say that by the end you would see a car not for what it is – with all its complexity and slickness- but for what made it the way it is – the nuts and bolts and rubber and.. whatever, you get the point! So where do we start? Money! Yes the thing that runs the world. Contrary to what all the losers who never made a dime say, money simply is everything. Even Bill Gates was forced to acknowledge the fact and decalre “Money isn’t everything in this world , but you gotta have a lot of it before you say such rubbish.” So that settles it then. Now lets come back. The basic modus opernadi of designing a drug is that you first find a suitable target which you believe will be key to challenging the disease. This mostly is a protein/enzyme that can metabolise a particular drug or in some cases even the disease causing genes from the pathogen itself. Finding this target is not easy, but it is not that hard either. We have documentations, intensive studies and databases dedicated to listing, characterizing and studying the drug metabolizing genes and proteins in the body. Different classes of metabolizers act on different types of chemicals (or drugs if you like). A class of metabolizers called the CYP enzymes metabloize over sixty percentage of the known drugs and medicines that humans consume. This includes drugs (the real ones – LSD, cocain, heroin.. get it?) and even poisons and sedatives. The metabolizers ofcourse don’t know which is which. If it suits them they metabolize it, else they are out of your system. Now, under the assumption that we have a drug target, the next step is finding the suitable drug candidate itself. Now this step is what you call finding a needle in a haystack. There are literally millions of drugs out there and if that is not enough you can go design your own and get it synthesized. In a drug target (we will call it simply the ‘protein’ henceforth) there are multiple points of action where multiple drugs can act. So for example in a protein made of 200 amino acids, we might find 50 actionable amino acids. For these fifty amino acids we may find thousands and thousands of drug candidates, all capable in bringing about some or the other change in the protein. So how do we find the One? If you asked that question about fifteen years back, the answer would have been to slog it out. Match every drug candidate you got against the protein you have and check the effects in vivo. Now countless number of factors come into play when a drug and a protein interact – global minima, energy minimization, binding affinity, hydrogen bonding intensity and what not. We shall learn about them in more detail in upcoming articles. So to put it simply, scientists spent their whole sorry lives pitting different drug candidates against the same protein over and over again until they found something worthwile to hang on to. Even if all the above mentioned factors blended in wonderfully, they might sadly, at the end discover that the drug actually caused more harm than it did good. So the candidate gets discarded and they start the process all over again! Sometimes you got lucky and found the right drug within performing a few combinations. But mostly it took years to even zero in on a drug that could be moved further into the drug discovery pipeline which in itself is another torturous process! So coming back to the money factor. You don’t need to be a Harvard Business School garduate to learn that this tiresome task costs money, a lot of money! Money in the form of manpower, reagents, biological matter like tissues and test animals and plants, instrumentation, electiricity and what not. Another thing it costs is something which none of use care about much – time. Picture designing a drug for some novel disease which is killing thousands of people each year. And picture having to0 do this same procedure and coming out with a drug after 10-15 years. The cost of such a life saving drug will also be high because the company or lab that made them would want to recover all the time and money they spent on it in the first place. Not exactly feasible and effective I would say. 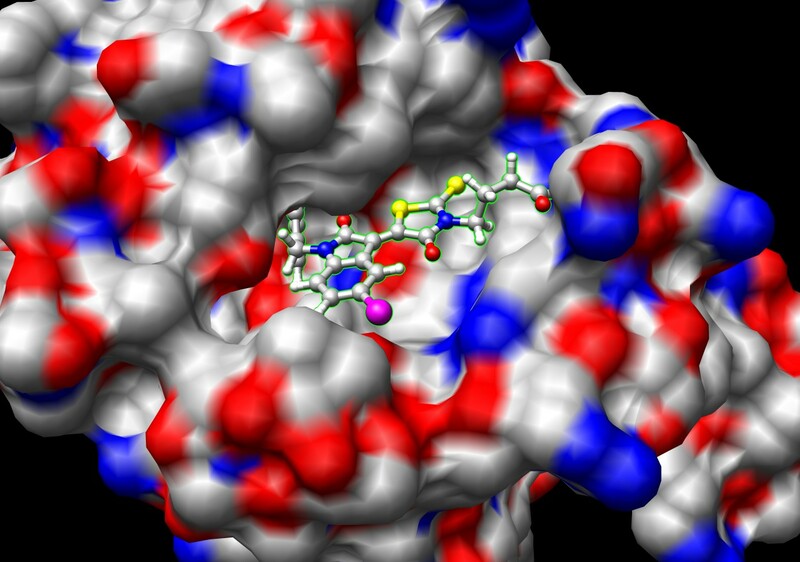 So here comes computer aided drug design. Which – brace yourself, can shave off years from the drug discovery pipeline. It can get you into the clinical trials phase within say 2-3 years as opposed to the earlier average of 7-8 years. Less money spent, less time spent, faster avilability of a potential cure and who knows, even less expensive medicines. So how does it work? How does the entry of a man made machine change everything for the better so drastically? What does a computer do that humans could not? Can you trust the results that happen in silico over something that happen in vivo? Is a computer finally that evolved that it can simulate life forms inside its mother box and processors? We will hopefully see those questions answered in the next few posts! Altaf is a student in bioinformatics and has a background in biotechnology. His specific are of interest includes computational drug design, molecular dynamics simulation and the likes.